The Script are back with their latest album and are coming to Glasgow SSE Hydro in February 2018. With the release of ‘Freedom Child’ the band scored another massive number one album and they will be playing plenty of new tracks from it at this show on Friday 16 February. The band formed in Ireland and are fronted by Danny O’Donoghue who also did a stint as a coach on TV’s The Voice. 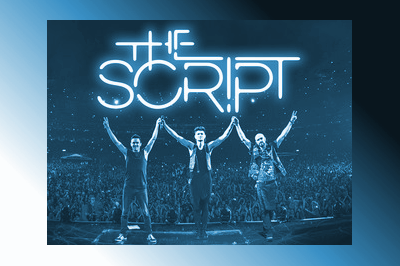 ‘Freedom Child’ is their fifth album and follows ‘The Script, ‘Science and Faith’, ‘#3’ and ‘No Sound Without Silence’. Tickets go on general sale from Friday 15 September 2017.